Domestic, Commercial Planning & Building Hounslow TW | Quality Property Care Ltd.
Do not miss to use our expert domestic and commercial builders company! We will help you out with numerous projects on a budget. There is no need to handle all of these remodelling and renovation task. Let our expert technicians to deal with them fast and effectively. Call our consultants on 020 3746 4287 phone number and arrange the details for our budget-friendly professional commercial and domestic builders services now! If you are going to use professional domestic and commercial builders services in Hounslow TW, make sure it worth it. Basement renovation, bathroom renovation, kitchen renovation or any other home or commercial room renovation requires proper technicians, who you can really rely on. Quality Property Care Ltd. can boast with the best building and planning team that will meet all of your requirements and instructions with attention and individual approach. All the technicians are vetted and insured, so in case of any damages or omissions, we will cover the damages. This is a very rare situation, though. We receive 96% good feedback. And all of the technicians are preliminary prepared, educated and well-trained in their builders and refurbishment fields. Our builders and tradesmen are also capable of doing basic and intricate decoration and painting for homes and offices in the entire Hounslow TW area. We have different rates all depending on the size of the rooms, in general we can do single rooms, one bedroom flats, double rooms, kitchen, bathroom, two bedrooms flats, three bedroom flats, one bedroom house, gloss on radiator or radiator cover, cupboard door, bath panel, gloss on doors, gloss on window, three bedroom house, two bedroom house, hallway single story, gloss on skirting, four bedroom house, four bedroom flat, hallway two story including stairwell. To complete the tasks we use a variety of paints for a matt finish, flat matt finish, silk finish, soft sheen finish. Solvent based paints include eggshell, gloss, satin, high gloss. We also use specialty paints for bathroom or kitchen floor paint, painting, anti-mould paint, metal paint, radiator paint, VOC free paint and quite a lot more. The great job is always the job you have designed and someone else, better and more skilful than you, has done. 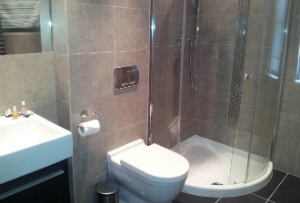 Our builders and refurbishment company Quality Property Care Ltd. in Hounslow TW hires only educated, trained and well-prepared technicians with special attention to the details and hard motivation to reach the best results. All the workers are insured & vetted and your property or personal belongings are fully harmless. Any customer can choose not to present during any renovation or refurbishment job. It is only a must for him to provide spare keys to the home or propery and a parking space for the van with all the necessary equipment and renovation kits. You can book an on-site visit by an expert, who will take notes, pictures and will discuss the work you want done. Free consultations can be provided. The price quote will be calculated by a team of experts within 3-5 days of the visit. Call our customer care service at 020 3746 4287 now, or use the online form to book a visit to discuss your views on the builders tasks needed, your planned budget and other details in regard to your home or business property renovations which will be provided by the experienced tradesmen with very close attention to detail and at the highest quality. Book your viewing visit now!